AB Giraitės ginkluotės gamykla (GGG), is a small arms ammunition plant established in 2000. The official title of the enterprise is State Enterprise Giraites Ginkluotes Gamykla (Giraite Armament Factory). 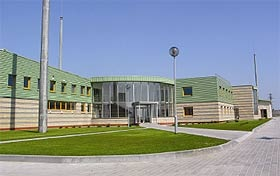 GGG office, storage, production facilities, laboratories and shooting ranges are located in Giraite near Kaunas. Production shop is equipped with modern equipment that enables to manufacture high quality production. GGG specializes in the production of cartridges cal. 5,56x45 GP21 (like SS109) and cal. 7,62x51 GP11 (like M80). GGG cartridges meet the highest quality requirements complying with NATO standards of quality. Strict quality control methods based on the integrated quality and environmental management ISO standard requirements are being applied to ensure that only quality raw material, components and finished products circulate in the factory. The company applies ISO 9001:2008, BS/EN ISO 9001:2008 and ISO 14001:2004, BS/EN ISO 14001:2005 standards. GGG specializes in the production of cartridges cal. 5,56x45 GP21 (like SS109) and cal. 7,62x51 GP11 (like M80). The production is manufactured using only the best quality materials – smokeless powder, primers, brass strip, lead and steel wire. All raw materials are tested in GGG laboratories. GGG cartridges 5.56x45 GP21 are produced according to the requirements of STANAG 4172. GGG produces Case & Bullet Cups, Steel & Lead Cores and Bullets for these cartridges.NATO Design No. AC/225-130A. GGG cartridges 7.62x51 GP11 are produced according to the requirements of STANAG 2310. GGG produces Case & Bullet Cups, Lead Cores and Bullets for these cartridges. NATO Design No. AC/116-33A. GGG produces components for cartridges cal. 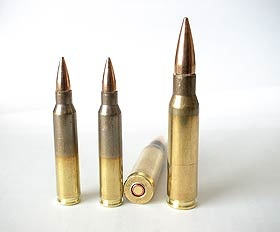 5.56x45 GP21 (like SS109) and 7.62x51 GP11 (like M80): Bullets, Bullet and Case Cups, Steel and Lead Cores. Keturios pirkimo dalys:1) neautomatinė aerozolių stotis su priedais;2) alfa beta skaitiklis;3) gama spektrometrinės sistemos įranga;4) pavojingų prioritetinių medžiagų mėginių paruošimo radiologiniams tyrimams įranga. Perkančioji organizacija numato įsigyti reagentus ir pagalbines priemones naujagimių bendrojo kraujo tyrimams atlikti, o taip pat analizatorių panaudos būdu, 1 pirkimo dalis.